The torch should have been attached to a block. 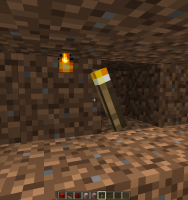 The torch, no matter where you place it, always appears to be facing left. The hitbox is correctly placed.